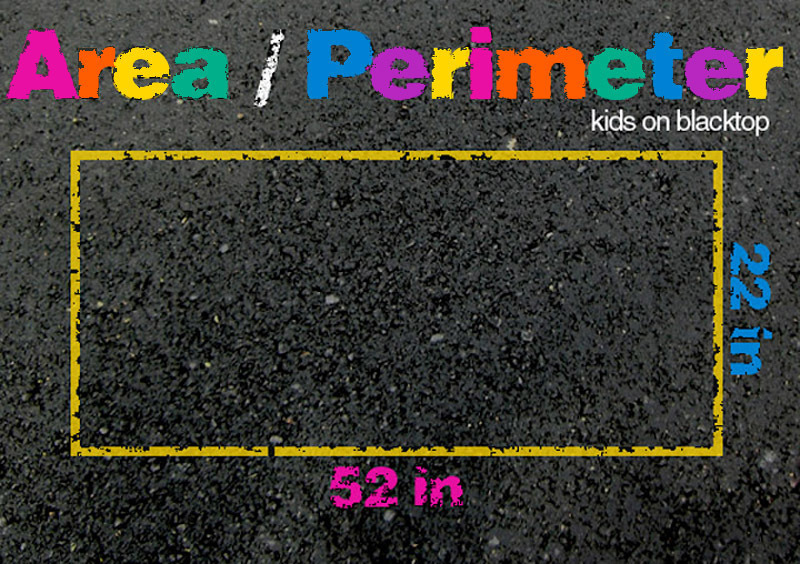 Over at 3 Teacher Chicks, they found the area and perimeter of each kid in their class! Bring kids outside to a pavement and split them up into teams of two. Have them trace around each other with a yard stick and chalk to find exact measurements in inches. Add all sides for perimeter, multiply L x W for area. Visit 3 Teacher Chicks and check out the activity! I am working on an online unit for area and perimeter. Could I use the image on this blog on the page?